"Fr. 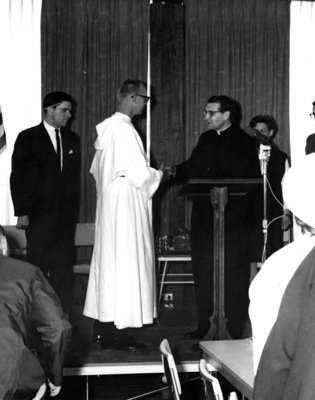 Schillebeeckx, Recipient of the Marian Library Medal, 1965"
Fr. Edward Schillebeeckx, O.P., recipient of the Marian Library Medal in 1965 for his book, Mary, Mother of Redemption.